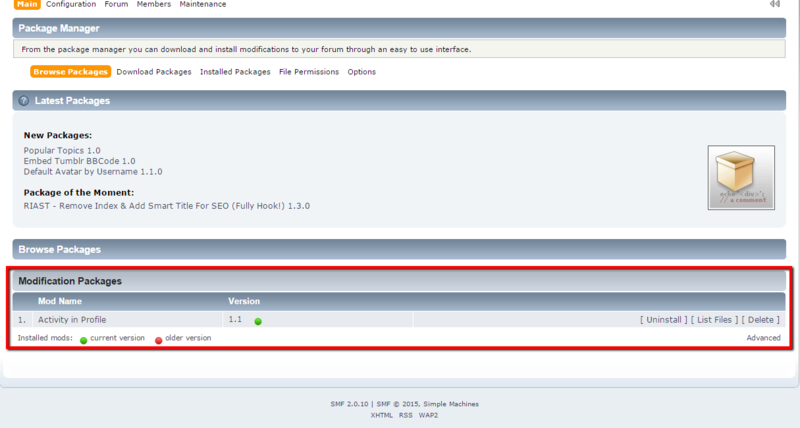 This tutorial will provide an insight on how to install additional packages on your SMF website. The default installation may be missing functionality that you need on your website. In such situations, the best way to extend your website is to search for additional SMF packages that will match your needs. 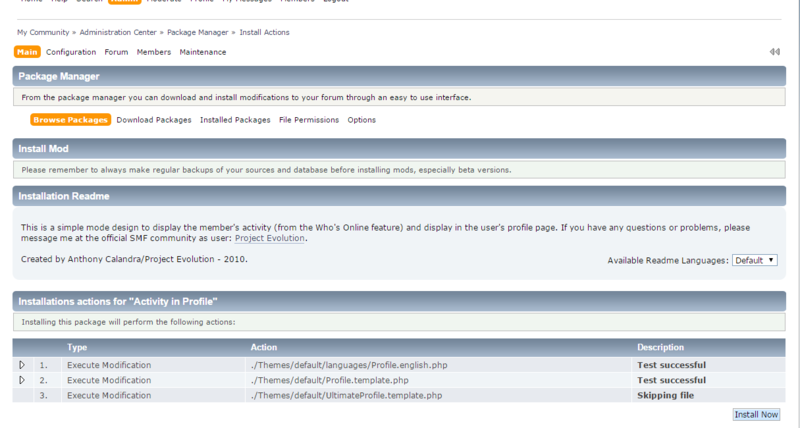 In order to manage the packages you need to login as administrator. 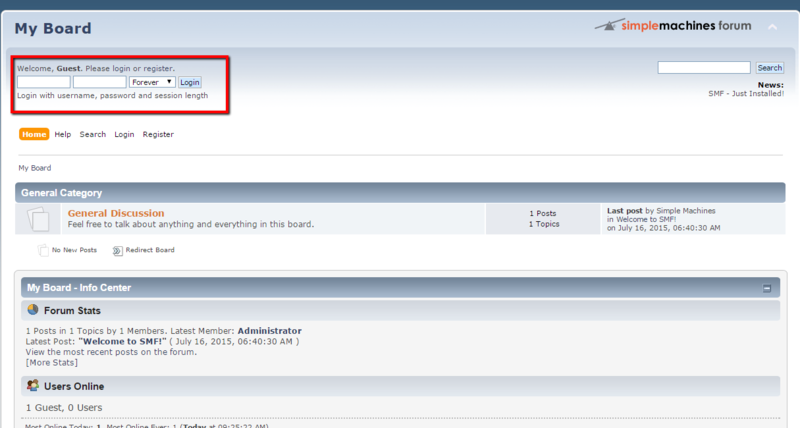 You can use the login form which is placed at the top left corner of your forum. After you login to your admin account you should hover on the Admin button and from the dropdown menu to choose the Package Manager. 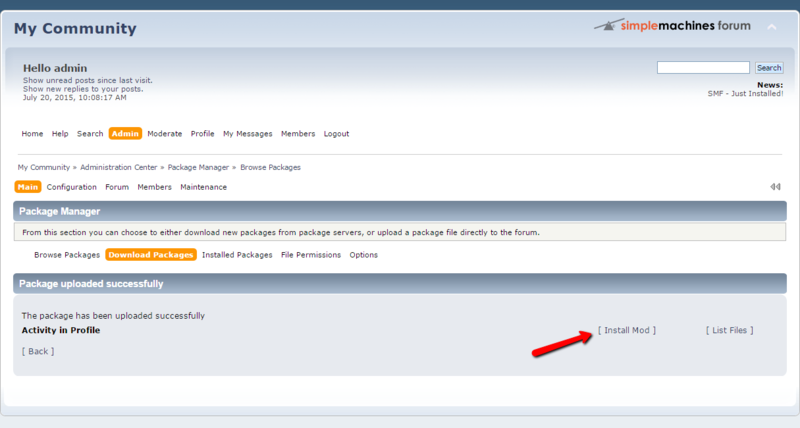 In order to install a new package open the Download Packages tab. After the tab loads scroll to the bottom of the page and click on the Choose File button, which is positioned in the Upload a Package section. Navigate to the folder on your local computer where you have already downloaded the package. 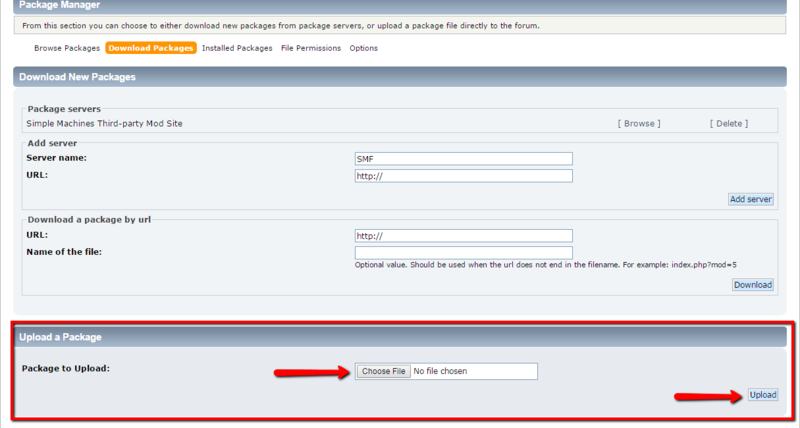 After the package is selected press the Upload button on right bottom corner of the page. On the following page you will see several sections. 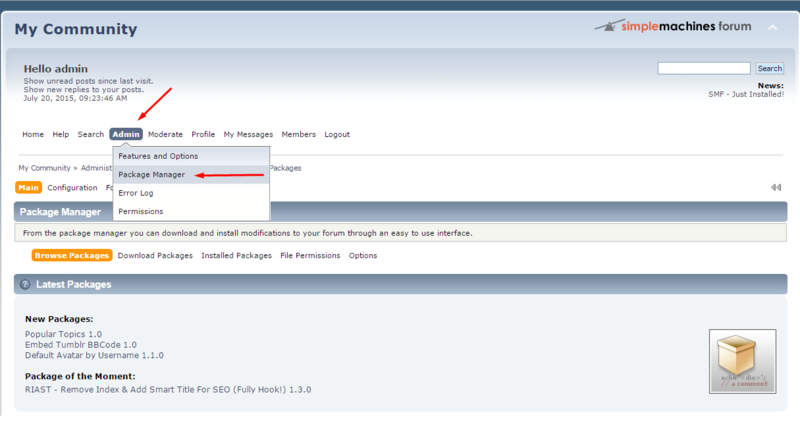 They will provide more detailed information about the module you are about to install. Read this in full so you can understand what changes are about to be performed on your website. After you check everything press the Install Now button in the lower right corner of the page. 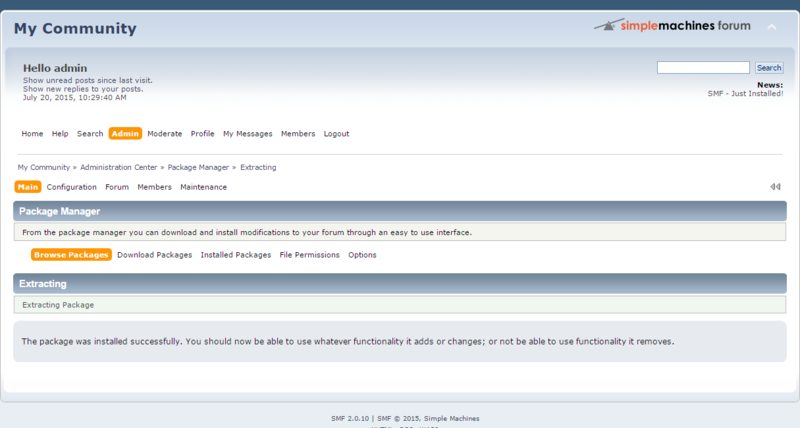 After pressing of the Install Now button you will be redirected to a page with status message for the installation. Also we are able to check the version of the package and if it is up to date. Congratulations you have uploaded and installed your first SMF package.